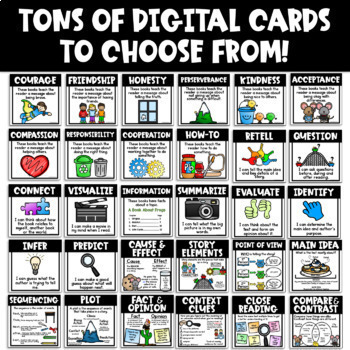 Running out of bulletin board space? I know the feeling! If you've ever tried to create a focus wall, you know how much work it takes to setup and keep switching it every week! 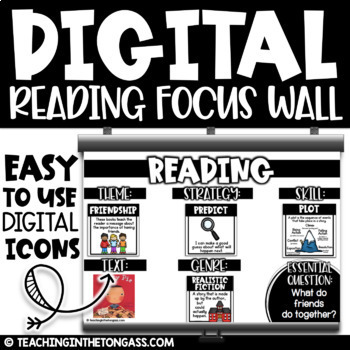 These space-saving Digital Reading Focus Walls are so easy to use and you can set up future weeks ahead of time (and reuse them year after year). 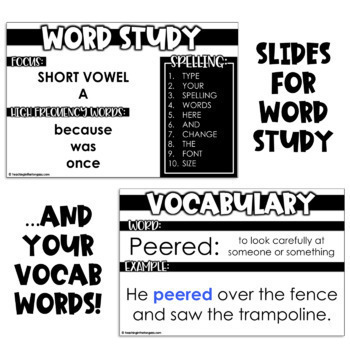 Just copy and paste the pre-made icons onto the Reading slide to set them up and display on your projector screen at the start of your lesson. 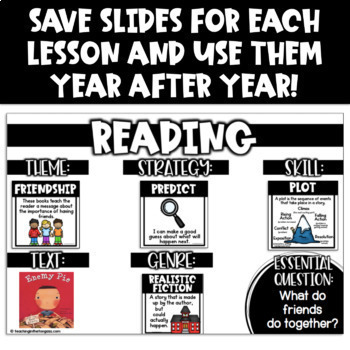 And because they're a PowerPoint file, you can even add your own slides to guide your reading lesson (perfect if you're using your district's assigned reading curriculum!). Digital Focus Walls are copyrighted. All rights reserved.